YouTube, a gathering place for millions of interesting videos. It is also the second largest search engine in the world. 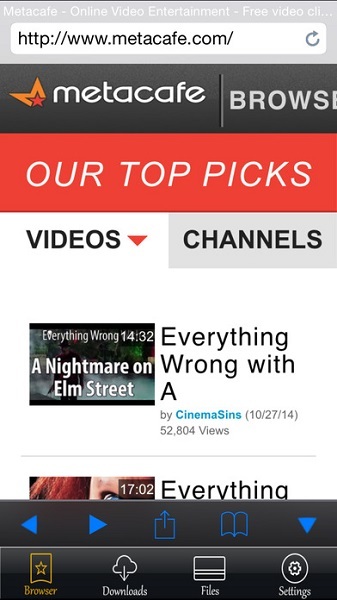 Because whenever people want to find videos, they directly go to YouTube to search for the videos. Video lovers can find out videos on every topic about what they are looking for. You can view these videos on YouTube for free. If you have some videos on your mobile or your self-recorded videos and you want to broadcast yourself by using these videos, you can upload those videos using upload button on the YouTube and broadcast yourself. YouTube is there for viewers to watch unlimited videos without time limit but the issue is that users can only view videos online using internet. They can’t watch offline. This guide will tell you that how to grab YouTube videos easily in just one click to watch offline. iTube Studio is YouTube grabber software enables you to grab YouTube video easily from YouTube and other video sharing sites for free. This software enables you to grab YouTube videos directly in the mp3 format as well. There is no limitation on the features because it works for you as a downloader, recorder and converter software as well. It can easily record videos from online video sharing sites as well in just on click with a cool frame. Downloading: iTube Studio is great YouTube video grabber software which allows you to grab videos from YouTube and other video sharing sites. Recording: iTube Studio gives you a great video grabber recorder experience as well and easily record online playing videos. Record computer screen or record your webcam videos calls easily. Versions: iTube Studio allows you to grab videos on windows and mac both devices. One Click Downloads: iTube Studio is one click video grabber software and enables you to grab videos by clicking on paste URL or by Download button or by Recording features. Download Speed: iTube Studio helps you to download videos by 3x faster speed because of its multithreading technology. 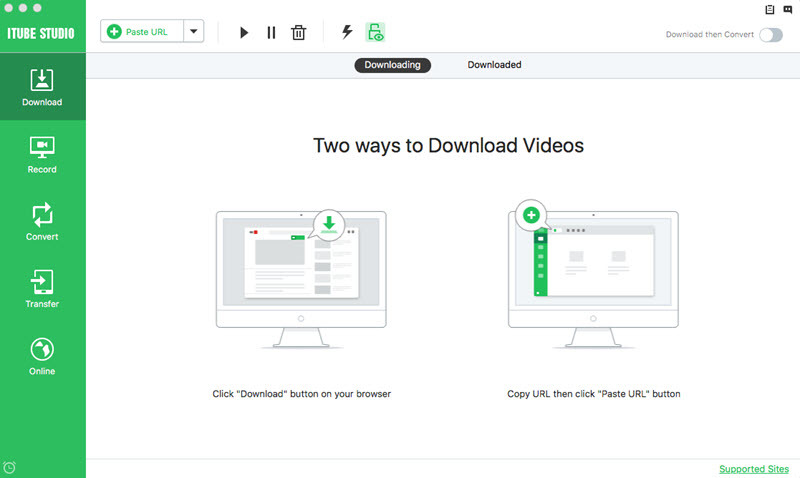 Batch download: iTube Studio can download videos in batch so you don’t need to wait to finish previous downloading. Converter: There is a feature available which enables you to convert video to more than 150+ formats. HD Videos: It can easily download all types of HD videos and supports up to 4K video format. Step 1 iTube Studio needs installation in your computer or Mac to start downloading from 10000+ sites. To install this software just visit the below box and choose the right version Mac or windows. Step 2 Once YouTube video grabber is installed, you can now grab video from YouTube and other sites. Just find out the videos which you need Grab offline on your computer and Copy Video URL. Then visit iTube Studio interface and click on the "+ Paste URL" button. Once clicked your video downloading will start automatically. Tip: If you need to convert it in other formats just click on "Download then convert" button, choose desired format and click on ok button. Savefrom.net is an online video grabber site and allows you to grab YouTube video for free. This video grabber doesn’t require you to install YouTube for sure. But if you are looking to grab video from other sites, there are some sites marked red on the Savefrom.net There are 2 ways supported by site to grab YouTube. First one doesn’t require any installation because direct way is by pasting URL. My Video downloader is an IOS device application and allows IOS users to download videos for free on iPhone and other IOS devices. Once videos are downloaded, you can watch these videos anytime, anywhere on any mobile or portable device. This app has password features which stop others to access your private collection. It supports unlimited video downloading without any restriction on downloads. After grabbing YouTube videos you can easily access all your videos directly from the application. There is no need to keep app active while grabbing YouTube videos and it can download videos in background as well. It supports batch downloads as well which allows you to grab YouTube videos in batch and gives you options to pause, resume and cancel downloading. HD video downloader app is an Android device app and allows you to grab YouTube videos for free on android mobile. This app allows users to download videos very fast and quickly from YouTube. 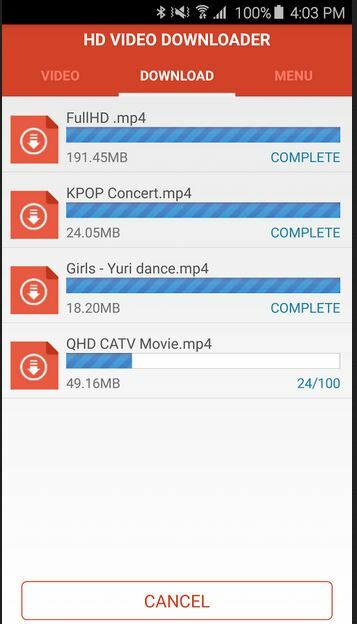 This app can save videos in the sd card/HDV downloader folder on your phone. It supports 7 formats of YouTube to download videos. 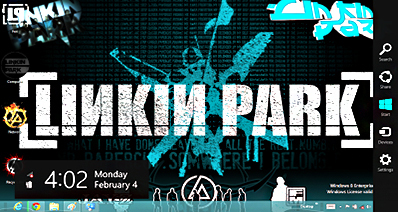 It comes with a very clean and neat interface and supports up to 100 videos to download together. This Android YouTube video grabber app can’t play videos which there are in the browser. Download video with this app is very simple and you just need to find out videos and click on HDV downloader and video is saved.